"Black Hawk Down" Pilot, Michael Durant Chooses JetLease & Here's Why! In the world of aviation, Michael Durant holds a special place. A highly-decorated war veteran, New York Times best-selling author and successful businessman, Durant piloted the Black Hawk helicopter Super Six Four that was shot down in the Battle of Mogadishu on October 3, 1993: later made into the Academy Award-winning movie, "Black Hawk Down." After retiring from the Army in 2001, he was inducted into the Army Aviation Hall of Fame in 2008, and in 2013, was named Vetrepreneur of the Year. 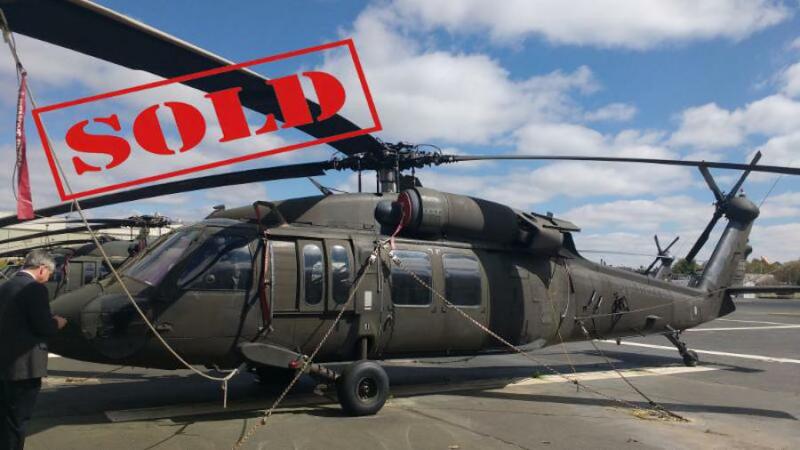 As CEO of Pinnacle Solutions in Huntsville, Alabama, a company specializing in aviation training and engineering services, Durant recently sought a broker to sell a UH-60A Black Hawk. "We had the aircraft for two years and used it for training, integration support and a source of information in developing our UH-60 Virtual Maintenance Trainer (VMT)," said Durant. His choice was JetLease and its president, Russell W. Dise. "JetLease and Russ brought both enthusiasm and an incredible network of potential customers to Pinnacle." said Durant. Dise, a veteran hockey player and coach, added: "The icing on the cake was when I realized Mike was an accomplished ice hockey player himself, so he and I were able to exchange a few war stories of our own. We loved working with these folks, and welcome the opportunity to do it again." "Due in large part to JetLease’s network of aircraft, sellers and buyers, its professionalism and the service provided by Russ, Pinnacle would happily recommend JetLease to any company engaging in aircraft sales or lease."